CLEMPOCORK SLAB is an effective and well proven vibration product, primarily designed for heavy loads which require a means of vibration isolation at high frequencies. 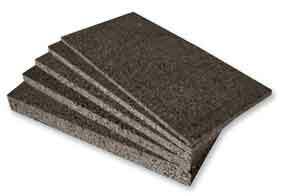 CLEMPOCORK SLAB are lasting resilinece and controlled density, specially developed for vibration control and air noise. As an added property, has a low thermal conductivity which facilitates heat insulation. 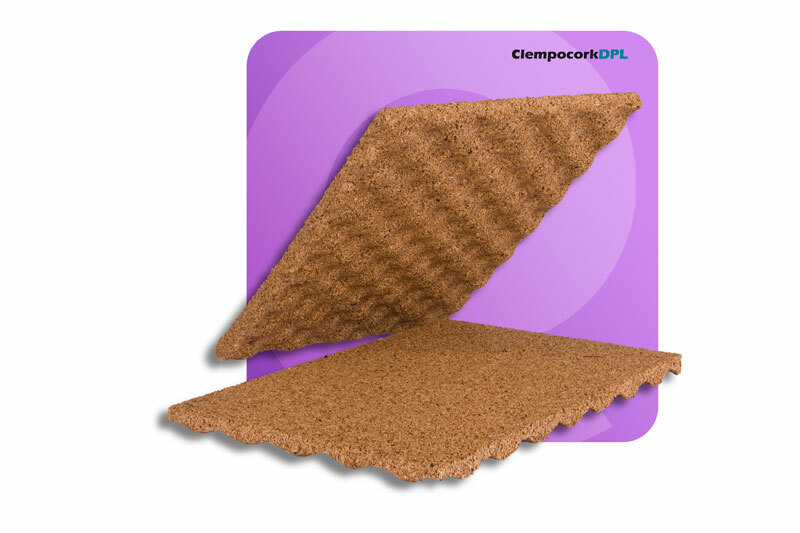 CLEMPOCORK DPL is a natural cork sheet bonded with elastomers, specially to reduce impact and vibration noise. Due to its low density, configuration, low coefficient of heat transfer and environmental performance, makes it the ideal product for reducing noise transfer in green architecture. 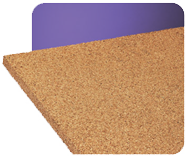 CLEMPOCORK BRUTT is a natural cork granules sheet agglomerated by an elastic binder. Because of the peculiar structure and chemical composition of cells that give excellent properties, has a wide range of applications such as natural and ecological product. 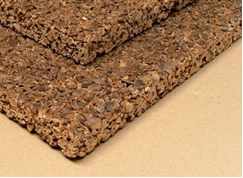 CLEMPOCORK BRUTT is the more natural insulation that exists with an unaltered excellent performance against moisture, sound absorption, fire, compression, chemical, etc.